Join us to learn crisis communications lessons from two seasoned PR pros who will provide a behind-the-scenes look into real crisis situations, including social media crises. The first-hand accounts delve into their experiences and provide examples of how actual crisis situations were handled and the lessons learned. 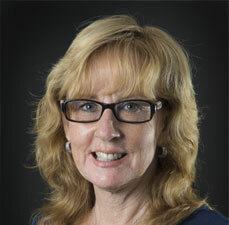 Janet Kacskos, APR, Fellow PRSA, is the communications director for Millersville University. She has been with the University since March of 2005. Kacskos has more than 20 years of public relations experience, serving as director of communications for Metropolitan State College of Denver and at National University in San Diego. She was also a working journalist and has experience in high tech PR, assisting Fortune 500 clients. Immediately prior to Millersville she was the corporate communications director for Hospice For Utah. Her expertise is in crisis PR, media training, media relations, executive writing, communications counsel and strategy. Kacskos has been active in the Public Relations Society of America (PRSA) for many years and currently serves on the national board. She was president of both the Salt Lake City Chapter and the Central Pennsylvania Chapter. She also served on the national PRSA Universal Accreditation Board for seven years. She became a PRSA Fellow in 2011. 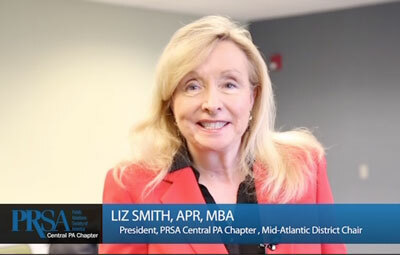 In November 2014 she received the Leuschner Award, which was established to recognize public relations leaders in Pennsylvania. In her free time Kacskos provides PR help to non-profits including Conflict Resolution Services in Lancaster and the Center for Community Peacemaking in Lancaster. She also enjoys playing golf and hiking. She is an alumna of the University of Colorado, Boulder, where she received a bachelor’s degree in journalism and from the University of Colorado, Denver, where she received a master’s degree in communication. Many moons ago, Ken Robinson took a step away from his first career stop (in AM radio news) to become the first full-time press secretary for the Pennsylvania Bureau (later Department) of Corrections. Preparing for and dealing with crises soon became a requirement, eventually leading to his role as chief spokesman during the 1989 Camp Hill prison riot. Today, he is senior strategist/operations manager at Quantum Communications, a firm helping clients in many diverse fields with issue advocacy, communications strategy, media relations and reputation management. Prior to joining Quantum, his Robinson Group Strategic Communications provided a range of public relations services that included media relations training, focus group facilitation and crisis communications strategic planning. In 2005, the RAND Corporation cited a risk communications assessment project his firm conducted for the Pennsylvania Department of Health as one of 12 “exemplary practices in public health preparedness” in the nation. 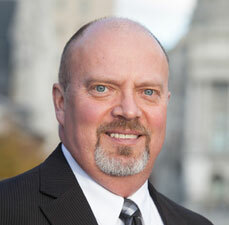 Before becoming an agency-based consultant, Ken was communications vice president for the Pennsylvania Medical Society, where he led a complete reorganization of the statewide association’s communication division. During that time, he served for two years on the American Medical Association’s Communications Advisory Board. In addition to serving on the board of the Pennsylvania Public Relations Society, Ken is a past president of the Central Pennsylvania Chapter of the Public Relations Society of America (PRSA) and former board member of PRSA’s Mid-Atlantic District. He is accredited in public relations (APR) by PRSA.